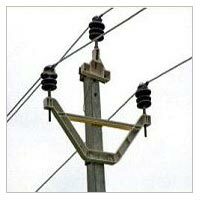 We are the noteworthy Manufacturer & Supplier of durable Electric Pole Cross Arm. Our range includes V Shaped Arm and H Pole Cross Arm. Electric Pole Cross Arm that we offer is manufactured using high-grade materials and appreciated for its sturdiness, accurate dimensions, corrosion resistance and durability. We make available Electric Pole Cross Arm in different sizes and specifications as per clientâ��s requirements. Furthermore, clients can obtain bulk quantities of Electric Pole Cross Arm at very affordable rates from us. 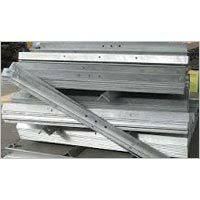 The company is the prominent H Pole Cross Arm Manufacturer & Supplier based in Haryana. H Pole Cross Arm that we offer is specifically designed for special applications. Made from high-grade materials, our H Pole Cross Arm is highly accredited for its high strength, durability, corrosion resistance and dimensional accuracy.